We manufacture products that solve a wide range of problems related to oil storage, fuel instability, combustion, corrosion and deposits. Main end users are power generating and heating plants, oil companies, industries and marine operators. Our aim is to help our customers and partners achieve their business targets and to provide them with cost effective solutions. Our business relationships require in-depth understanding of the markets our customers serve and the technology they use. Amongst our products are several that were developed and tailored to the specific business requirements of our customers. 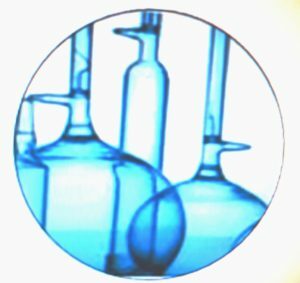 Due to our strategic alliances with other companies research and development and our close relations with technical universities and research departments, we are able to find chemical solutions to specific problems. Bycosin was founded in 1947 when there was a demand for anything that might help burn the fuel that was available to industry after World War II. Bycosin solves that problem by creating an oil soluble iron that allowed the fuel to burn more completely without adding harmful ingredients to the atmosphere. The company now manufactures fuel treatments for all types of undustrial applications from utilities to the marine industry. 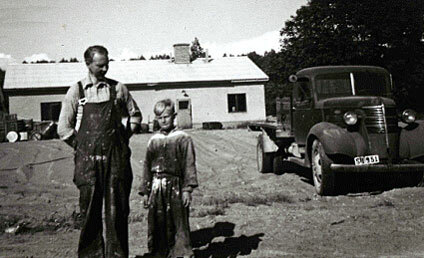 The picture shows the founder of the company, Sven Byström, and his son Håkan standing in front of the first factory building around 1953. The company is now named Incendio AB. The brand name is still Bycosin. Incendio AB work according to the Environmental Management System ISO 14001 and to the Quality Management System ISO 9001. We are also committed to the global chemical industry’s voluntary program Responsible Care®. 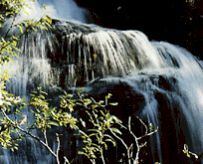 We value safety and health of our employees, customers, suppliers and neighbors as well as the protection of the environment in combination with high quality products. To achieve this we work continuously to improve quality, safety, health and environment – all the way throughout the processes from development of products, production, and transport to use of the products at our customers facilities. To ensure that Incendio products maintain their position at the leading edge of product development, our strategy involves large scale research and development projects, in many cases in close cooperation with technical universities and research departments. 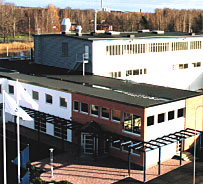 Continuous product research and development is carried out in our modern and well equipped laboratory at our head office in Karlstad, Sweden, where we also have our production facilities. In order to best satisfy our customer’s demands we have developed a well defined commitment to service. It is our ambition to establish long-term business relationships founded on successful problem solving in close cooperation with our customers. 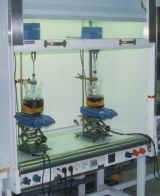 Laboratory facilities with our own research personnel. Long-term relationships with universities and research departments. Customer oriented problem solving by our research and development team. To ensure that Incendio products maintain their position at the leading edge of product development, it is Incendio strategy to involve itself in large-scale research and development projects, in close cooperation with technical universities and research institutes. Our service attitude and goal is to establish long-term business relationships by working closely with our customers and successfully solve their problems.